Joe’s Kids will be holding its annual 5K Heart & Sole on April 27. This year’s event will be presented by the K21 Health Foundation. 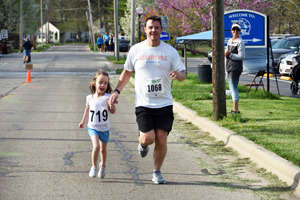 Register online through April 26 at runsignup.com/Race/IN/WinonaLake/JoesKids5KHeartSole. On-site registration will begin at 7:30 a.m. April 27 and the race will start at 9 a.m. Cost for the event is $10 for kids 12 and under, $20 for students and $30 for adults. The cost includes a T-shirt to wear at the race on a first-come, first-served basis. This event benefits the children at Joe’s Kids, a pediatric clinic in Warsaw that provides physical, occupational and speech therapy to children with special needs. For more information, visit www.joes-kids.org.